Employers who file an appeal from a Safety Citation or a Corrective Notice of Redetermination issued by the Department of Labor and Industries should carefully read the filing requirements of WAC 263-12-059. Post a copy of the appeal in a conspicuous place at the worksite at which the alleged violation occurred. Any posting shall remain during the pendency of the appeal. Certify to the BIIA that employees have been notified. Certify to the BIIA whether affected employees are represented by unions, and if so, provide the names and addresses of unions. to Employees (Learn More), and the duty to file written evidence supporting your request to stay abatement. If the employer fails to provide this information, the Board will deny the request for stay of abatement. 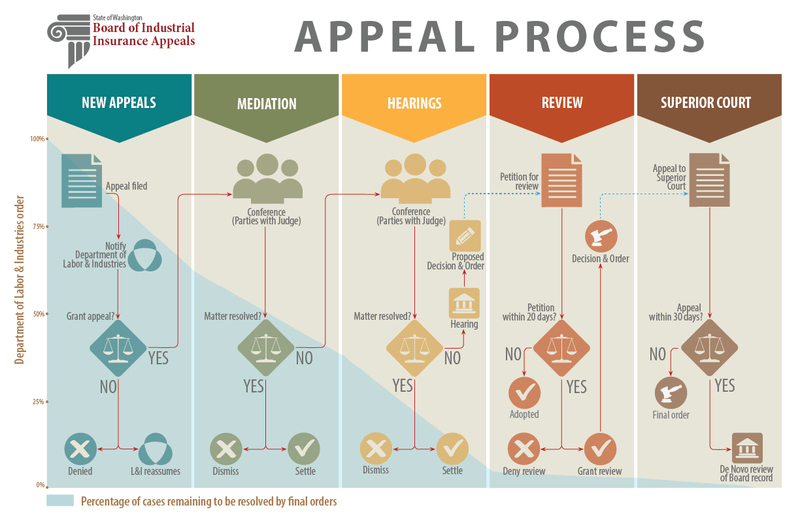 In appeals where the employer has requested a stay of abatement, the employer must, within 14 calendar days of the date of the BIIA's Notice of Filing of Appeal, file with the BIIA supporting declarations, affidavits, and documents it wishes the BIIA to consider in deciding the request. The employer must also simultaneously provide supporting documents to the Department and any affected employees' safety committee or union representative. For detailed requirements, read WAC 263-12-059.
in deciding the request. The Department must also simultaneously serve these opposing documents on the employer and any affected employees' safety committee or representative. The employees must also simultaneously serve the opposing documents on the employer and the Department. For detailed requirements, read WAC 263-12-059.